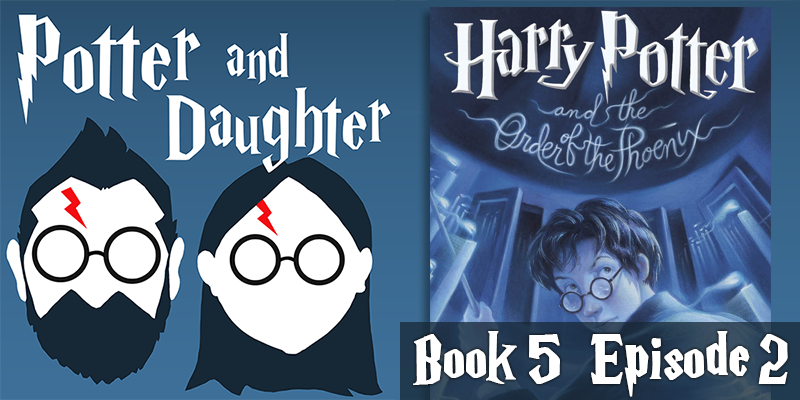 In episode eighteen of Potter And Daughter Joel and Lily pick up on Harry Potter And The Order Of The Phoenix at chapter 7 and discuss everything through chapter 12. Harry faces expulsion (AGAIN) and has a trial at the Ministry of Magic. Dumbledore provides aid, but is still distant. Hogwarts has two new Gryffindor Prefects, but not the ones you might think, and we are introduced to the latest in a long line of less than desirable Defense Against The Dark Arts teachers. In the UK, you *have* to take GCSEs (OWLs) but you can leave school after that. You get a choice of subjects but are usually expected to take at least Math, Science, and English, and around 9 or 10 in total. If you don’t leave school, you take A levels (NEWTs) in college, and then you have the choice to apply to University. You usually specialise in at least 3 subjects at A level.